Search Engine Optimization, also referred to as SEO, plays a huge role in Internet searches. SEO-specific words in content make it easier for search engines to find it. It may not seem like a big deal to the casual reader, but SEO can mean the difference between having your business show up on the 1st page of search results, or the the 500th. Lots of searches, combined with optimized content, translates into lots of views – which become lots of sales. Search engine optimization is vital, which is why there are services available to help turn your vision into a reality. 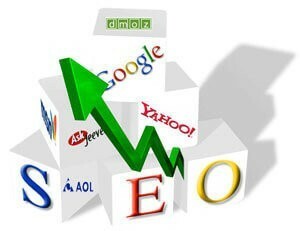 A SEO consultant or SEO company will guide you through the process of optimizing your content. Technology is improving at a rapid pace, and that includes searches. In just the last couple of years, we’ve seen the introduction of smart devices and digital assistants. Siri, Cortana, Alexa and even Google itself are all ready and waiting for your questions, and all of them depend on the world wide web for answers. This new form of searching is called “voice search”, and Google estimates that it accounts for 20% of all searches. * That number is only going to grow. How does SEO fit into this? Well, search engine optimization is text-based. For example – someone searching for funny pictures of cats will input a lowercase “cute cat pics” or something similar. However, with a digital assistant, a user will say “Ok Google, show me some cute cat pictures” instead of typing anything. This subtle difference between human typing and machine interpretation of speech patterns can change the search results. Therefore, it is important that SEO methods be updated to fit this new way of searching. Only a few decades ago, these new advances in tech were mere fantasy. Yet we have them now, and they’re rapidly improving online business. Almost every phone, regardless of make, has a digital assistant built in. Soon, everything else will too. It’s important to optimize content to fit these new consumer trends. The future is now, and it’s our job to make it the best it can be.